While buying a slip ring, many customers often have a query that can a single slip ring assy handle both power and communication. The manufacturer's today have a positive answer to that as it(slip ring assy) can transfer both power and communication with ease. The slip ring constructor provides two separate cores to the electrical rotary joint, except in some slip rings. The separation is done to maintain a gap between the communication and the powerful voltage circuits within the metal ring. Sometimes, the brush and the cores kept separated with a divider or separator plate. The separation is possible using different methods in every kind of slip rings. A non-conductive barrier used in the slip ring assy to segregate the power and communication sections. Apart from aforesaid details, a separate slip ring assembly is provided inside another slip ring's enclosure. In the large bores and high power assemblies, the separator even allows in transmitting the signal through a small size slip ring. It fastens the mouth of the slip ring and keeps separate from the other slip ring assemblies. The slip ring is attached with a shielded cable which protects the quality of signal and power transmission. In the power cables and wires, the signal tends to be routed through the separate paths and this is how the power and communication are transmitted. Sometimes, the communication cables positioned on the interiors of the mounting tube and the power supply remains outside the slip ring. 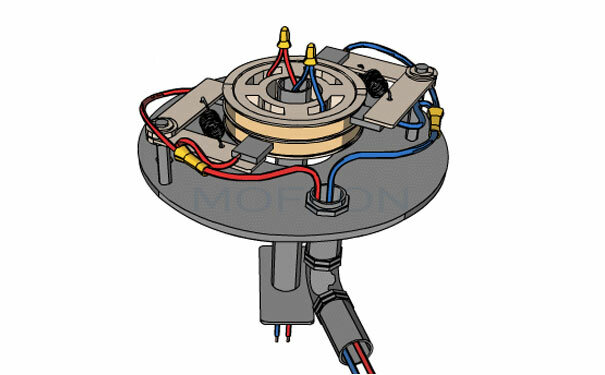 Some slip ring rotor contains liquid media like the oil and water. This type of slip ring called the liquid slip ring. It is used for the 360-degree rotating machine and the devices which need various signal transmission. The electrical rotor also contains the compressed air, carbon monoxide and water vapour. The working principle is similar to that of the other slip rings. Though the liquid slip ring consists of gas and fluid, it does not compromise with the functioning of the machinery parts. The rotor ensures the normal operation of the device. The inner structure and the outer design of the slip ring are fully equipped with the advanced scientific process which adds to the performance of the device. Often it is seen that most of the buyers compromise with money while buying a slip ring. 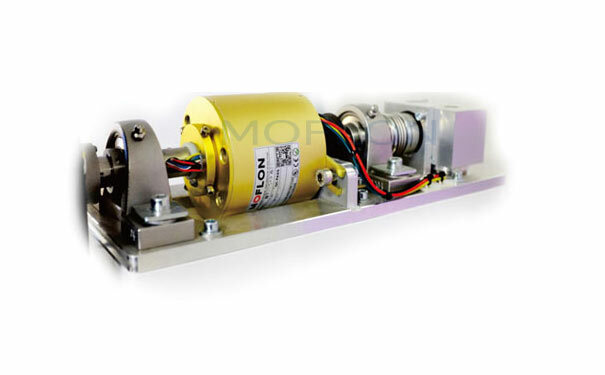 They end up in purchasing a motor slip ring of cheap and inferior quality. Using a poor quality slip ring will disrupt the performance of the electromechanical devices. Some of the slip rings are costlier due to the precision materials composition and the processing time. The precise products work perfectly in both small and large equipment. Servicing quality, the durability of the slip ring and the operating system are up to the expectation of a customer. Some low-cost slip rings are also available in the market, which quite interestingly, have the potential to draw high current and supply the required signals to both the rotating body and the stationary structure of a machine. They are generally compact in structural design and operates smoothly.